Ever gone through a mid afternoon slump? Know what depleted of any strength and emotion to finish your day? Have you wanted to call it a day early and spend the rest of the noon doing practically nothing? That describes me in a nutshell around 3 pm. It’s not even 3 in the noon yet and I already feel I’ve hit the slump. I wish I were granted with an endless supply of energy without relying on sugar and caffeine to combat my noon fatigue. Not only am I trying to fight to stay awake, I am also suppressing my urge to snack. Keeping my eyelids from closing is challenging enough as it is. Before you start, I have been taking my vitamins regularly and avoiding food laced with sugar as much as I possibly can. I also have been eating right so I can’t think of a logical explanation to my lethargy. It doesn’t help matters that the office insists on running the heater on full blast. I rather be a bit chilly as I can wear as many layers as needed to keep me insulated. Thankfully I h ave managed to reserve a bit of energy to share this radish squash soup recipe with y’all. I don’t eat radishes on a regularly. One of the things that excite me the most about making vegetable soup is taking a humble vegetable like a radish and turning it into something exquisite. 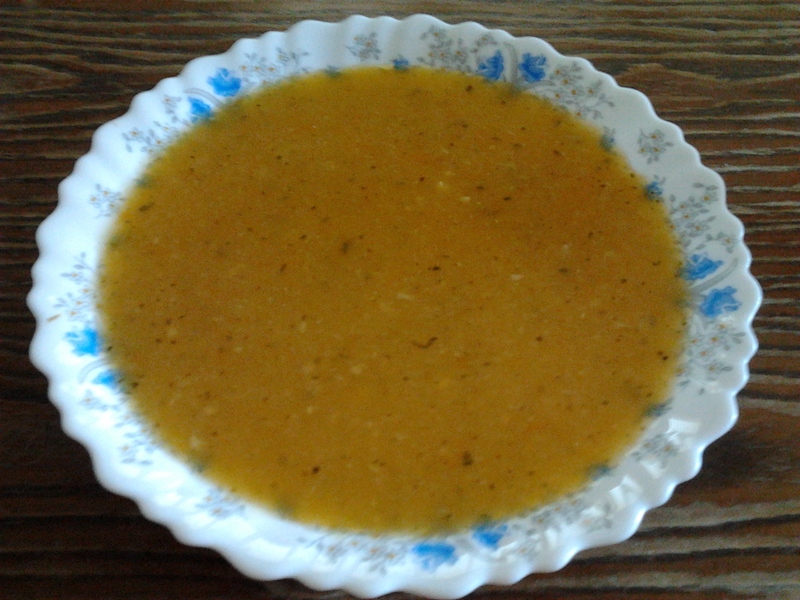 A creamy radish squash soup was ideal. Most of us are very familiar with the cheerful little bulbs for better or for worse. Round bright red, or white, radishes are plentiful all year round and can be located on the shelves of every grocery store. Popular in Germany, these root vegetables are mostly eaten raw, in salads or on their own; their leafy tops are usually discarded afterwards. Radishes are a low carb and a less starchy alternative to potatoes. I used white summer radishes for this soup. If you don’t like radishes, turnips also work well for this recipe. Speaking of bulbs, an idea just lit up in my head for a chilled yogurt radish soup. But that will have to wait till the weather heats up a bit. Or will it? Knowing me, you can expect to find a recipe featured on this blog a bit sooner than that :-). I don’t always find inspiration within a recipe in process of publication; when I do, it’s quasi-comical. Heat a large heavy-bottomed soup pot at medium-high heat. Add the olive oil, onion, and garlic, stir well and saute for 2 to 3 minutes until softened, stirring from time to time. Then add the vegetables, salt pepper, nutmeg, and vegetable broth. Bring to a boil. Reduce heat to medium to medium-low, cover the pot and slow-simmer for 20 minutes or until vegetables are tender. purée the soup with a stick blender or food processor until silky smooth. Taste and adjust the seasoning if needed and serve. This entry was posted in Gluten Free, Soup, Sugar-free, Vegetarian and tagged radish squash soup, red radishes, soup recipe ideas, white radishes. Whatever Hungarian stereotypes you’ve been fed in your lifetime, I can almost reassure you that I heard them all. Being partially of Hungarian decent, some of these stereotypes are plausible. At risk of unintentionally offending some of my relatives’ sensibilities (please forgive me), Hungarians are known for their many qualities; some not so sterling but their goulash and various ethnic cuisines that I immensely enjoy often put my stereotypes that I have of them to rest. They sure know how to constructively use paprika. My maternal grandparents (who’ve long passed on) strong Hungarian heritage provided cultural traditions and meals that I was once unfamiliar with. One particular dish seemed to have stood out for me. Melt-in-your-mouth chicken and Hungarian rice smothered in a rich, creamy paprika-spiced sauce. Simple, inexpensive, utilitarian meals meant to fill empty growling bellies. While Hungarian dishes are not particularly glamorous, I always find them comforting and packed with flavor. In efforts to duplicate her mother’s recipe, my mother served this creamy tender chicken dish and it was one of my favorite chicken dinners I’ve eaten. I made this dish and served it to my hubby. I will definitely be bookmarking this recipe for holidays and other future special occasions. The sour cream tenderizes the chicken as it’s cooking. For a lighter rendition, I suggest using low fat sour cream or cream cheese. I used vegan cream cheese as vegan sour cream is a scarcity where I live. You can even do without the cream altogether if you are trying to watch your waistline.You can exclusively use chicken breasts, thighs, or drumsticks. I used a whole chicken. This comforting winter Hungarian chicken recipe serves well with whole grain rice or whole wheat noodles. This chicken dish can also be prepared and cooked in a slow cooker. This chicken recipe is well worth keeping in your files to make over and over again, and they are make-ahead meals that keep well in the refrigerator for days. Just simply reheat them covered in a low heat oven for 30 minutes. n a large pot, heat 1 teaspoon canola oil. Add kielbasa and cooked until slightly browned all over, about 5 – 7 minutes. Add onions and pepper to skillet and cook until the onion is soft and lightly browned, about 7 more minutes. Remove from heat and add the paprika, ground pepper, garlic and tomato paste. When fully incorporated add broth. Add chicken to the pot, cover and simmer slowly over medium low heat, basting occasionally with the sauce. After 30 minutes, turn chicken pieces over, cover, and simmer until the chicken is tender, about 45 minutes more. Remove chicken from the pot. In a small bowl, whisk together the flour and tofutti sour cream until smooth. Then add it to the sauce and mix it in. Keep the sauce warm but not boiling. 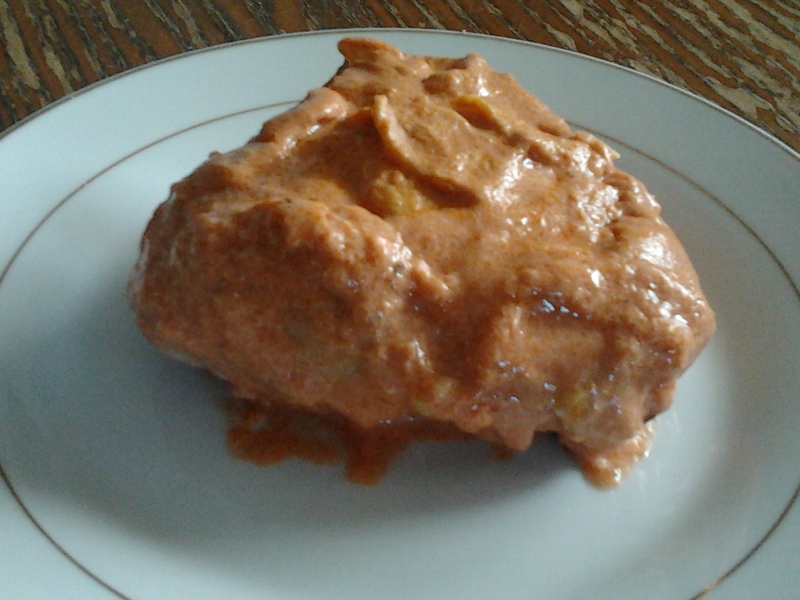 This entry was posted in Gluten Free, Meat, Sugar-free and tagged chicken dishes, chicken paprikash, winter Hungarian chicken recipe. Some of you may be intrigued by the title I chose for this uniquely healthy apple pie recipe. Before you out my patriotism into question towards my homeland, I would like to clarify a few details with you regarding my loyalty towards America. I am proud of the country I hail from despite some minor details that irk me. Living overseas doesn’t make me a traitor the last time I checked. Above all, un-American and anti-American are not the same thing. Allow me to further explain to you what I mean by that. Apple pie is a classic American dessert. From the scrumptious apple filling to the flaky pastry crust, it is an American favorite. In fact, you can find this popular dessert in some form on most restaurant menus, in bakeries, in the bakery and freezer section of grocery stores. Most home bakers claim to have a secret recipe for their own “best” apple pie. Most people won’t refute the fact that the flavors of apple pie are at their best when homemade. I do admit being biased towards homemade desserts and treats; then again, so are most people. While some people like their slice of apple pie served plain, others prefer it with a scoop of vanilla ice cream, a dollop of softly whipped cream, or with a generous slice of sharp cheddar cheese. However, it’s goodness is reimbursed by the excess amount of sugar, butter, and calories embedded in each slice. The ingredient I use are very un-American unlike the classic version with a buttery pie crust and sugary apple filling. I suppose you can refer this recipe as crumpled apple pie if the title bothers you. I am not aiming to ruffle some feathers. 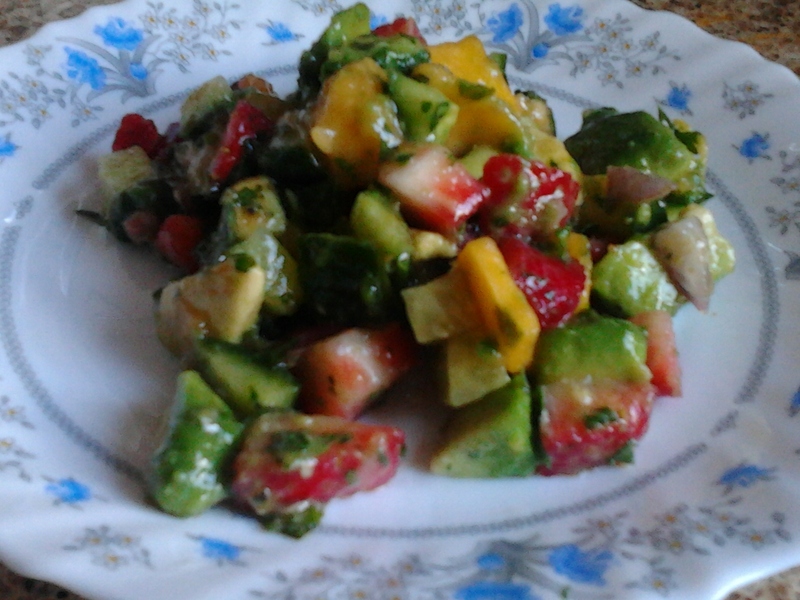 I am merely trying to introduce you to a healthier version that I recreated. I normally try to create a healthy adaptation of original dishes and desserts without compromising on the flavors. Apple pie is no exception. I substituted the flaky pie crust for a low-fat graham cracker pie crust I created. The apple filling I made is not nearly as sugary. In fact, is has no sugar at all. I used a bit of honey which adds a sweet twist without ruining your diet. I also jazzed up the flavors of the filling with a bit of fresh minced ginger. Not only was this the healthiest apple pie I ever made but it was the easiest apple pie I ever made as well. Creamy and fruity, this healthy apple pie recipe sweet pie is guaranteed to elicit raves from family and friends. Enjoy this classic (un) American holiday dessert without the extra calories. Serve hot with a scoop of low fat frozen yogurt or sour cream. Preheat oven to 350°F. Pulse graham crackers, ground walnuts, sugar, margarine, rolled oats, and salt into a food processor and process till coarse like and crumbly. Divide mixture in half. Spread first half into an 9-inch pie dish, flattening it to an even thickness all around. Use a bit more if you need to. You can press it down with another pie dish if you have one. Bake for 10 minutes and allow to cool fully before filling. Place sliced apples in a Dutch oven. Add the remaining ingredients to the pot and cook over medium heat for 10 minutes or until tender. Leave the oven temperature at 350 degrees. Add apples to prepared pie crust. Top with the remaining half of the pie crust. Bake for 30-40 minutes. Let rest 20 minutes before slicing. 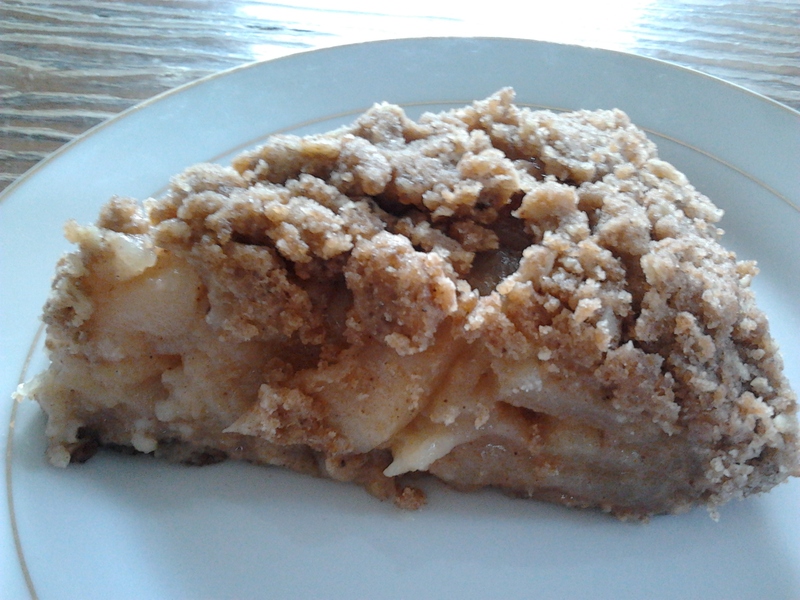 This entry was posted in Desserts, Sugar-free, Vegetarian and tagged American apple pie, healthy apple pie recipe, holiday dessert, low fat desserts. I have a confession to make. I plead guilty of rarely using recipes more than once. It’s not just the results were unsatisfactory the first round. Despite the raves and compliments I receive from family members, friends, and guests about a homemade dip, it doesn’t always occur to me to make it again. It is a constant race to provide new, fun, exciting, creative content for the readers whilst leaving me little time to revisit the recipes that I enjoy the most. Of course, there will always be a few recipes that I will share all the time, for the rest of my life even if it means missing an opportunity to create a new post. I suppose that could also mean that I need to learn to budget my time better and prioritize more effectively. Thankfully, I am sometimes able to spare a few moments for myself before duty hollers for my attention again. I am gradually making progress with my time management skills. 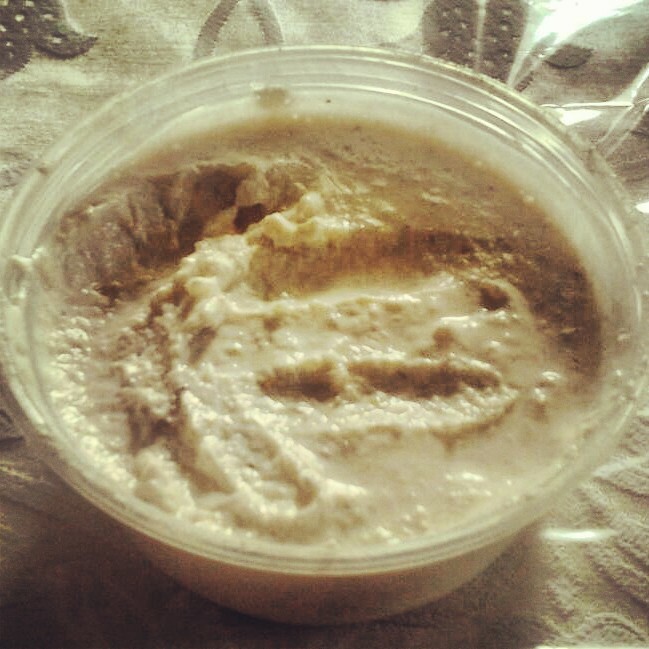 At the moment, I am putting everything on hold to share my roasted onion garlic dip with you. It is a recipe not to be procrastinated for any longer than it already has been. Additive, creamy, delicious,and low fat, I have always wanted to make roasted onion garlic dip without using packaged onion soup mix. I am not so keen with the preservatives embedded in these soup mixes. I was targeting for more natural flavors which is how I highly prefer it. After endlessly searching for various recipes, I decided to create an adaption to my liking. This roasted onion garlic dip is a simple recipe consisting of only a few ingredients. While the preparation is easy, the flavors to take some time to develop as you will need to roast the garlic and caramelize the onion. While the cooking and prep time estimates to 45 minutes, the result is worth the wait. I recommend serving this dip with vehicles that are more on the little salty side to counteract the sweetness of the onions and garlic that are in the dip such as bagel chips, tortilla chips, and even pita chips. Cut up raw vegetables would also be a perfect accompaniment to this dip. Preheat oven to 400 degrees. Cut the top off of the garlic bulb, drizzle with 1 tablespoon of oil, wrap in foil. Roast garlic for 35 minutes. In the meantime, heat 2 tablespoons of olive oil in a skillet. Saute onion till caramelized. Add Worcestershire sauce once onions start to get sticky. Once onions are caramelized, set aside. Place cream cheese and sour cream in a food processor. Add onions. Squeeze out garlic cloves and add it to the mixture. Add basil, salt, and pepper. Process till well blended. Serve immediately or cover and refrigerate until needed. This entry was posted in Gluten Free, Sauce, Sugar-free, Vegetarian and tagged caramelized onions, how to, roasted garlic, roasted onion garlic dip. Among her many sterling qualities, I admire my mother in-law for her ability to make lemon curds and custards to perfection; an ability that I am miles behind. I may have griped about my custard failures before but no matter how many recipes I follow to the T, the results are inevitably disappointing. That is why I don’t make lemon meringue pie often. The first time I made that pie, it was a hot lemony mess. With attempts to emulate my mother in-law and please hubby, I dejectedly presented this pie to him. Being forgiving and understanding, he gently explained to me that lemon curds are hard to master for novices and that my mother in-law has many years of experience making lemon meringue pies. Luckily, I prepared a backup dessert of cookies for emergencies like these so all wasn’t loss. As frustrating as that experience was, I wasn’t deterred from making lemon curds and custards and I have. I am famous and even notorious for being relentless once I set my mind on something. There is no limitation with my perseverance. I can understand why people may sometimes have a problem with that. Sometimes I successfully master the right consistency and on other days it is a liquidity disaster. Lemon curd is generally made with eggs and butter. I wanted to explore other low-fat egg-free alternatives. I had cross-referenced several recipes and found one that worked for me. My intention was to make hubby a vegan lemon blueberry tart for dessert. You can guess which was a failure. Oddly enough, it wasn’t the lemon curd. I don’t want to talk about the other components of the tart. I find the vegan rendition to be a lot easier for me to make. I’ve learned the hard way that cooking this recipe slowly while stirring constantly is key for a perfect vegan lemon curd. Unlike the traditional recipe which call for a heavy use of egg yolks and a frightening amount of butter, this healthier and egg-free rendition offers a perfect balance of sweet and tart flavors therefore making this recipe a perfect dairy free dessert idea for you to save in your repertoire. This recipe not only shows that lemon curd can be made vegan but the flavors are just as refreshing; if not more so. In a small saucepan over medium heat, combine the lemon juice, sugar, lemon zest and salt, stirring well to dissolve the sugar. After the sugar is dissolved, add the corn starch mixture and the milk, stirring well to combine. Stirring constantly, cook until the mixture begins to thicken and the first few bubbles appear on the surface, about 8 minutes. Add the dairy-free soy margarine, and cook, stirring constantly, for several minutes more, or until the mixture resembles a thick pudding. Transfer the mixture to a heat proof dish, cover the surface of the curd with plastic wrap and let cool completely before placing in the refrigerator to chill. 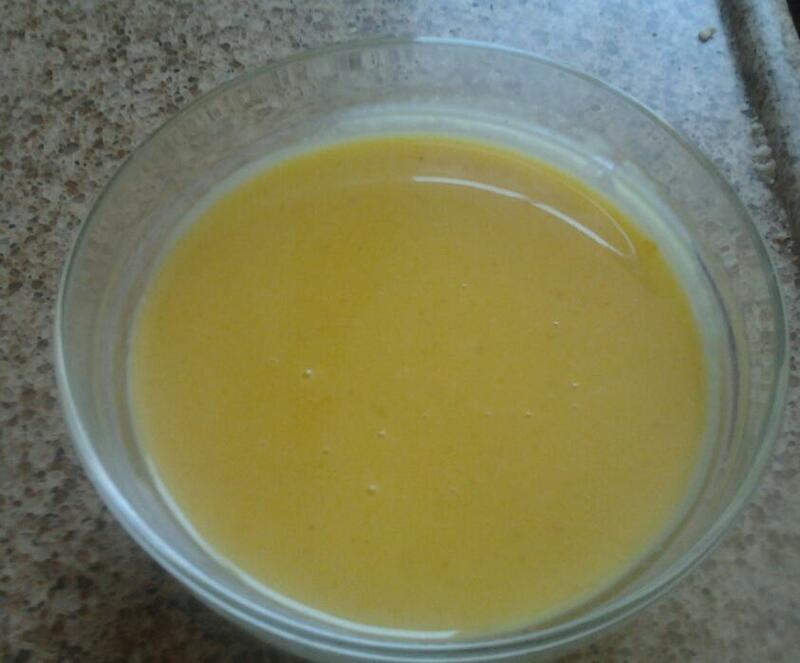 Chill lemon curd for 2 hours in the refrigerator before using. This entry was posted in Desserts, Gluten Free, Sauce, Vegetarian and tagged dairy free recipe ideas, egg-free, lemon curd recipe, vegan lemon curd. Reese’s Peanut Butter Cups are one of my favorite Hershey confections. I enjoy the balance of flavors between the sweetness from the chocolate and the moderately savoriness from the peanut butter. I generally love the combination of chocolate and peanut butter. Shortly after I discovered my new love for this candy, I have been trying to replicate this treat in many different ways. I made peanut butter mousse pie with a ganache topping. I baked a batch of peanut butter chocolate chip cookies. I have no doubt that you can come up with many different ways to utilize peanut butter and chocolate in which I encourage you not to be shy to lend some of your ideas. While I enjoy Reese’s peanut butter cups, it never occurred to me to make my very own from scratch. I suppose I didn’t see the point of doing so. I was only recently possessed to make my own batch of chocolate peanut butter cups after being told how shockingly easy they are to make. With only 5 ingredients, you won’t notice the difference between homemade chocolate peanut butter cups and the commercial brand. The only difference I detected is that the homemade version tastes a lot better as well as being healthier. I was anticipating a hot mess in my kitchen. Oh, I nearly forgot to mention that they don’t require any baking as well. Mind you, most no-bake treats are time savers and practically hassle-free. I admit to hyperventilating a bit when trying something new. Mind you, my decoration and presentation skills are still a little clumsy but have been improving with much diligence, practice, and patience. It was worth the effort. I only wished I thought about making my favorite Hershey’s treat a long time ago. Ever since after making my first batch, I won’t be hunting for a pack of Hershey’s Reese’s Peanut Butter Cups anytime soon. Not only are these delightful treats vegan and gluten-free but they are sugar-free as well. They also freeze well. In fact, I prefer them frozen. At first, the ratio between the chocolate and peanut butter filling was off. I had more peanut butter filling than chocolate. 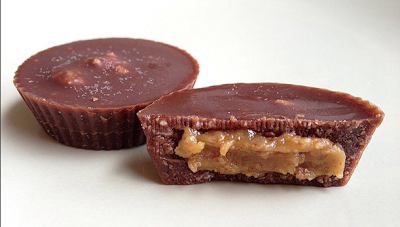 I ended up making peanut butter chocolate cups as well. If you have a peanut allergy or don’t like peanut butter, you can use hazelnut butter or almond butter. You can even try this recipe using flax seed butter if you have a nut allergy altogether. I’ve heard people using pumpkin filling in lieu of nut butters. Use whatever works for you. I try my utmost to consider everyone’s dietary restrictions and food allergies which is why I tend to offer alternatives when I can think of any. Everyone should be able to indulge once in a while. Speaking of which, I look forward to an upcoming chocolate festival this Thursday. Melt chocolate chips with 1/3 cup of oil, 1 tablespoon of honey, and cocoa powder. Mix well till smooth and combined. Combine peanut butter, 2 tablespoons of coconut oil and 1 tablespoon of agave nectar in a bowl and stir until the ingredients are well mixed. Place 1 teaspoon of chocolate in each muffin cup. Layer with 1/2 teaspoon of peanut butter mixture. Top with another teaspoon of chocolate. Repeat the same process through each muffin cup. Freeze for 15-20 minutes before serving. This entry was posted in Desserts, Gluten Free, Sugar-free, Vegetarian and tagged Hershey's Reese's Peanut Butter Cups, homemade chocolate peanut butter cups, Peanut butter, peanut butter cups.